Alaknanda and Bhagirathi rivers meet and take the name "Ganga" River at Devprayag (Uttarakhand). "Devaprayaga" means "Godly Confluence" in Sanskrit. As per Hindu scriptures, Devaprayaga is the sacred event of merging two heavenly rivers, Alakananda and Bhagirathi, to form the holy Ganges. 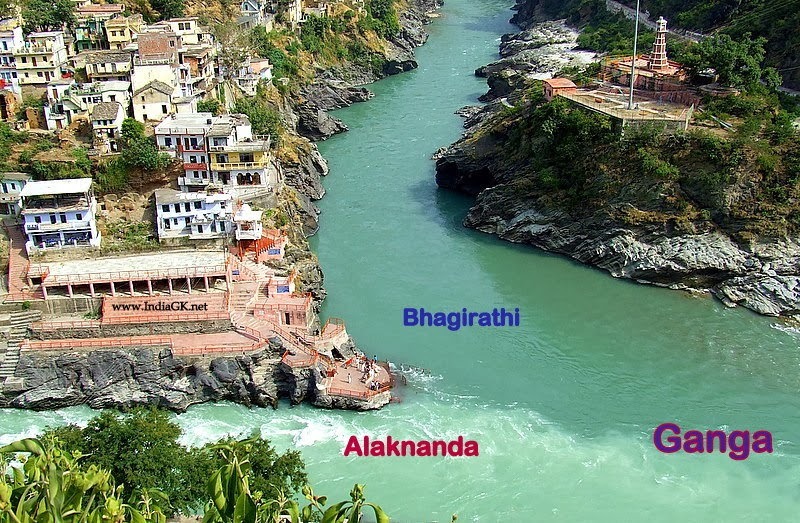 Here is a wonderful snap at sangam of Alaknanda, Bhagirathi and Ganga.